We are about two weeks away to our Dramatised Readings, and what better way to find out more than by getting to know more about the playwrights themselves? Today, we spoke to Mae Shen to find out how her journey has been and also share her thoughts on the Writing from The Heart workshop that she took part in 2015. I wrote my first play because my secondary school mate threatened to sit on me if I didn’t help her meet a deadline. At University I completed my first full length script because I would have failed the class otherwise. Decades after, I still write best under duress or a deadline. Writing is putting pen to paper the imagined conversations that rage in my mind. How has your journey in being a playwright/writer been so far? 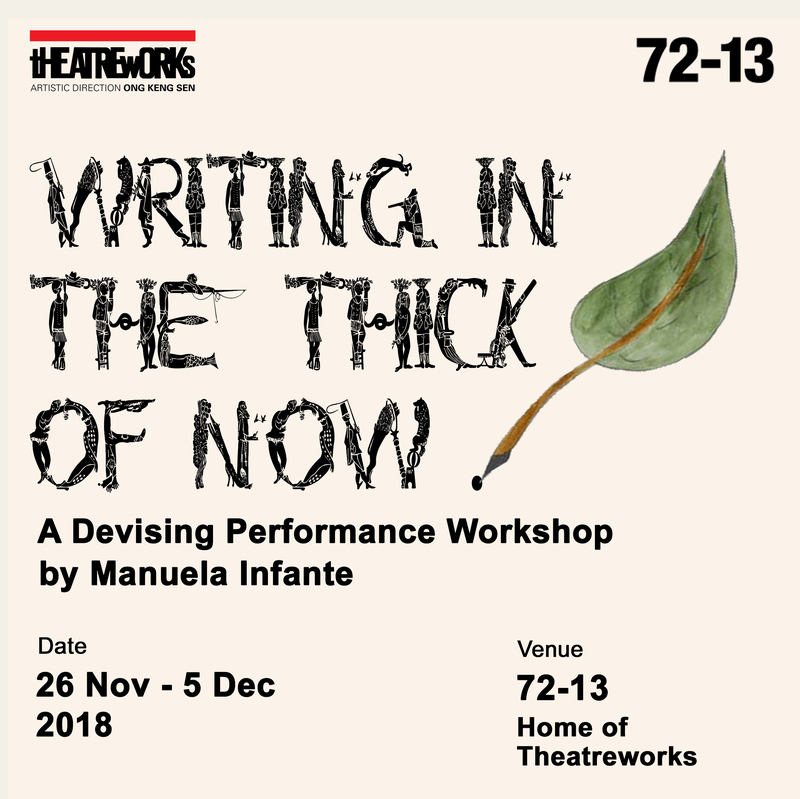 Given my need for deadlines to write, the Theatreworks 24 hour competition ensures I write at least one script per year. Because talking to yourself in your head is limiting, the opportunity to get feedback from theatre practitioners is invaluable. So I’m very appreciative of the mentorship from TheatreWorks. Tell us a little bit about your play and why you decided to write on this particular topic. The play juxtaposes the journey of two couples. One that wants to get married but can’t; one that can get married but won’t. It’s an exploration of structures/forms versus substance that was loosely inspired by a politician who asked why it was so important for gays to be married when there already are sufficient legal provisions. That was also a period when a few of my close friends were getting divorced so I decided to write on two big topics that I know little about – children and marriage. How would you describe the whole process – from joining the workshop to the mentorship programme, and now getting your scripts read? It’s always helpful to get feedback. The mentorship program helped me tighten the plot, deepen some characters and make some tough decisions about staging. I’m looking forward to getting more feedback from theatre practitioners during the script readings. I’m fortunate to have such talented actors read. Any words of advice to the participants in this year’s workshop? Go with a beginners mind. Participate. Invest yourself emotionally. It’s a safe space. If you’re keen on saving yourself a seat to hear the reading of Tan Mae Shen’s 13.13.13, be sure to register for a seat today on our Eventbrite Page!